Slevomat - Personalising ads based on CRM data! Slevomat is the leading inspiration marketplace in Central Europe. Headquartered from Prague, Czech republic, the company now provides travel and local experience offers in several countries. Slevomat was purchased by Secret Escapes in 2017. Slevomat opens new deals every day and their challenge is to offer the right deal to the right audience within a given timeframe. These deals are new, therefore they can’t use re-marketing. At the same time they want to reach people who had not visited their website recently. They do however know the purchase history of every customer and are therefore able to predict which customers might be interested in which deals. Until now, Slevomat hasn't been able to utilize this data for Facebook advertising though. Slevomat creates a new deal - “Pizza Colosseum is offering 2 pizzas for 1 in Prague until the end of this month”. This is a new product with a unique ID, therefore they can’t use Dynamic Ads with broad targeting (or purchased re-marketing) to find the right people for this deal. 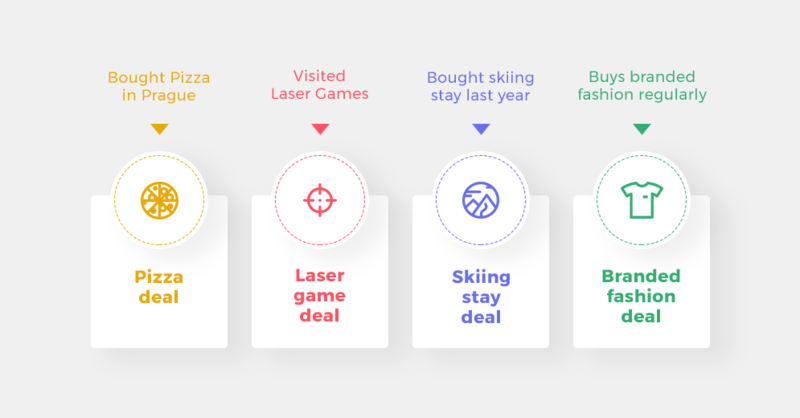 Slevomat can however use Ultra Personalized Ads (click to learn more) and send the deal to people who previously bought an offer on Pizza Coloseum vouchers, no matter how long ago. 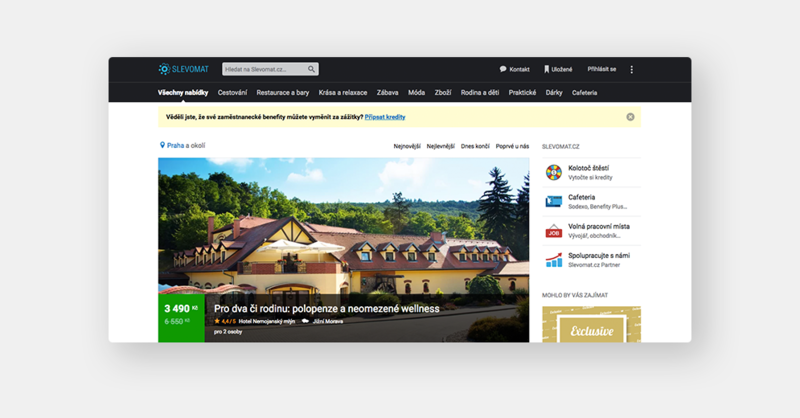 Utilizing Ultra Personalized Ads, Slevomat could focus on strategy and the quality of their deals, instead of hand-operated guesswork on which deals will work for which clients. Quantifiable results are available in the text box below, but note, that they could be achieved using several other strategies. The critical advantage of this solution is that everything was, and is, reasonably automatic. Once Slevomat shared a base data CSV with us, we used the ROI Hunter platform to integrate it and utilize it for Facebook Ads. The final result was a fully automated system, which used dynamic signals and product recommendations to create conversion-worthy Dynamic Ads for cross-selling and up-selling. Technology can help advertisers achieve better results, all that's required is the will, zeal, and a suitable technology partner. We like to work with ROI Hunter, because it helps us utilize our data better than standard Facebook ads manager and we are also able to achieve higher return on investment, which is our primary performance goal.